The array of benefits can be confusing, but help is available if you need to access some financial support for yourself or a relative with MS. 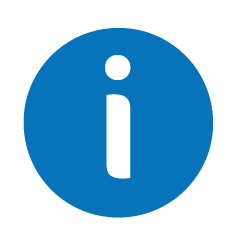 This A-Z page lists the current benefits paid to people who cannot work or can only work limited hours due to illness or disability. You may not feel disabled, but if you have MS, you can claim to be legally disabled from the date of your diagnosis. There are several different benefits which may be available to you if you have a disability or care needs due to your MS, even if you are currently working. People who are caring for someone with MS, whether child or adult, may also be eligible for benefits. The benefits system across the UK can vary, and is currently in the process of being overhauled. Some of the information in this page may be dated by the time you read it, and the eligibility criteria will have changed. Do check the details with the UK Government benefits website before changing your circumstances or making plans. News on changes to prescription charges, financial benefits, living allowances and other issues of interest to people with MS are always covered in our MS in the Media round-up. The links on this page go to the specifc place on the UK Government website where each benefit is discussed for those living in Scotland, Wales or England. If you live in Northern Ireland, you should go to the specific website for benefits in Northern Ireland. If you would like help with understanding the benefits that you might be eligible for, including any implications for your care needs, housing, employment, long term finances or pensions, do take advice from an independent organisation like those listed at the end of this article. Some areas of the UK are currently offering Universal Credit to all new applicants, whereas some areas are offering it only to new applicants who are single with no health issues. It is intended to be a single monthly payment to replace a number of other benefits, allowances and tax credits. There is controversy over whether Universal Credit offers an equivalent level of support to disabled people who claim it instead of other benefits, and you should take careful advice before claiming. Universal Credit is organised differently in Northern Ireland, where payments can be fortnightly. If you are aged under 65, you can apply for Personal Independence Payments (PIP) to help with some of the extra costs caused by living with a long-term condition. Entitlement to PIP is based on an assessment of how your condition affects you. It is not means tested, which means you can receive the payments even if you have a job. PIP replaced Disability Living Allowance (DLA) for new claimants from June 2013. People currently receiving DLA who were aged under 65 on 8 April 2013 will be moved to PIP over the next few years. If you are aged 65 or over you can apply for Attendance Allowance to help with some of the extra costs of your condition. Entitlement is based on an assessment of how your condition affects you. Attendance Allowance is not means tested. If you were already getting Disability Living Allowance (DLA) when you turned 65, you will continue to receive that benefit and not be transferred to Attendance Allowance. Support group - if you are assessed as having no current prospect of being able to undertake work you will not need to go to interviews, though you can ask to see an advisor. If you care for someone for more than 35 hours a week, you may be able to claim Carer's Allowance. There are a number of organisations and resources that can help you find what benefits you can claim, can assist with filling in forms and support you if need to appeal against decisions. An independent, not-for-profit website that has information across a range of subjects, including claiming benefits. Site offering information and guides to understanding and claiming benefits, including tips for filling in application forms effectively. Information on claiming benefits and changes to the welfare system from a charity that campaigns for the rights of people with a disability. A free and impartial advice service that helps people navigate the benefit system and manage their money. Some branches have a welfare officer or local support officer who can help people with MS claim the benefits to which they are entitled.